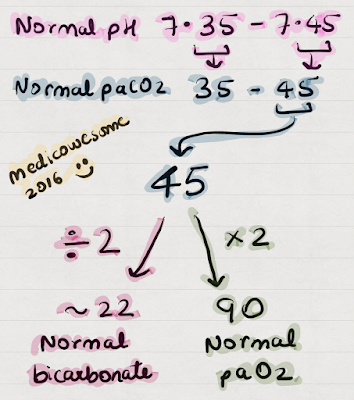 Know the normal pH of blood 7.35 - 7.45.. That's all you need to remember I promise! 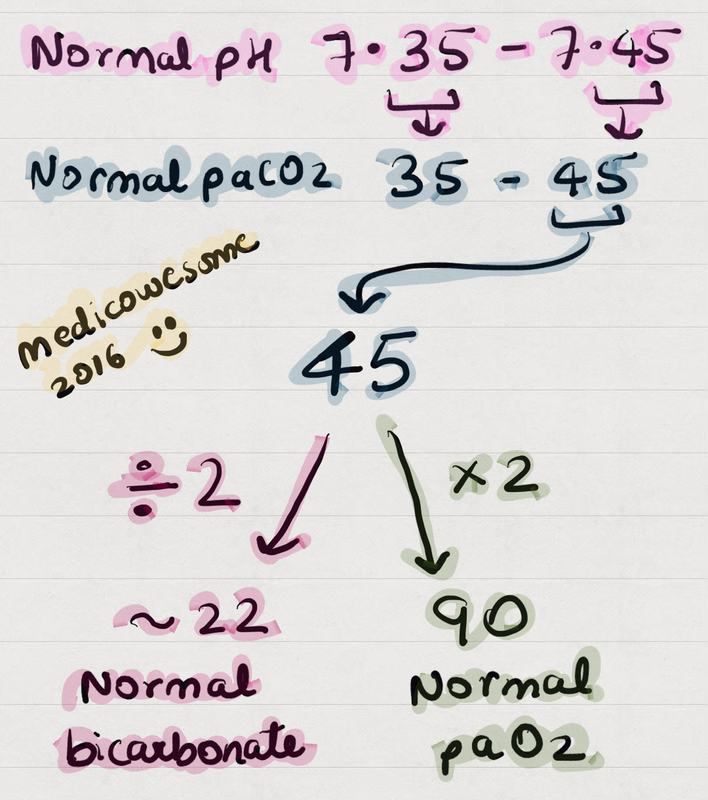 Take the numbers after the decimal, 35 - 45; and that's your pCO2. Divide 45 by 2, approx 22; and that's your bicarbonate levels. Multiply 45 by 2, that is, 90; and that's your pO2. 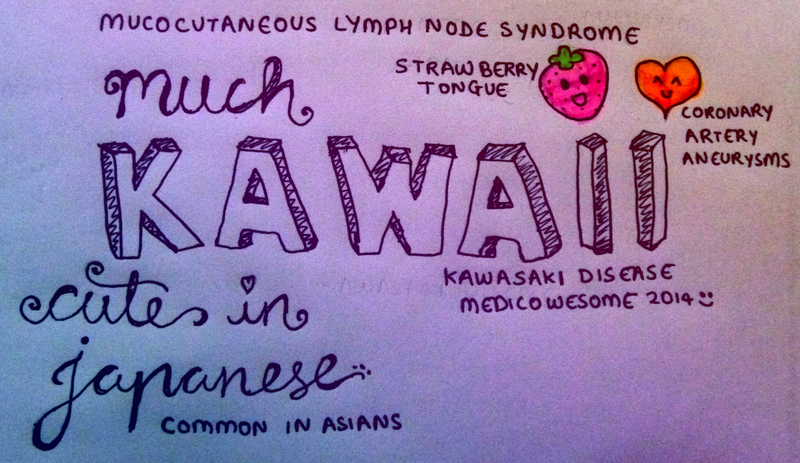 Kawasaki disease mnemonic - Much Kawaii strawberries and hearts. Cute in Japanese. Did you know when you palpate the popliteal artery in the supine position, with the knee flexed, you palpate it against the proximal part of tibia but if you palpate the same in the prone position, with the knee flexed, you are palpating against the distal part of the femur? Hey everyone. A very short post today. "I intrinsically try to map growth"
Intrinsic tyrosine kinase - Insulin & growth factors (IGF-1, FGF, PDGF, EGF) - MAP kinase pathway! Prolactin, Immunomodulators (e.g., cytokines, IL-2, IL-6, IL-8, IFN), Growth hormone. If you can't remember the immunomodulators, just think STAT! sTaT has two T's which should remind you of "Tins and Ters"
And another animal - rat. This'll help you remember that it is a receptor-associated tyrosine kinase!